Last week marked a milestone for female golfers, as Augusta National hosted its first women’s amateur tournament. Augusta National Golf Club in Augusta, Georgia, is one of the most exclusive golf clubs in the world and host of the annual Masters Tournament. This article explains the history of Augusta National and the larger impact of this decision, including how it has inspired future female athletes. Will Trump finally host a women’s team? Baylor’s Kim Mulkey would be ‘honored'. The Baylor University Lady Bears could be the first women’s college basketball team to visit the White House under the Trump administration. President Trump tweeted in support of the National Champions on Sunday. Coach Kim Mulkey told the Associated Press, "politics aside, we should go to say we went to the White House.” No official invitation has been extended yet. The ASCEND Summit is a forum discussing how women can advance into the C-suite and on boards of directors. 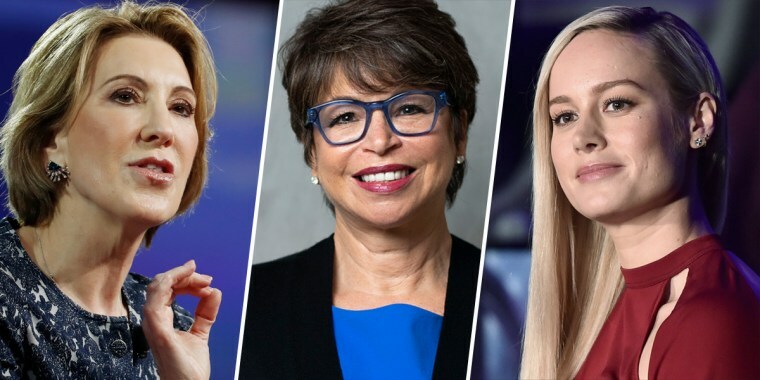 Mika Brzezinski is set to host the New York City event on May 10th, with Arianna Huffington, Carly Fiorina, Valerie Jarrett and many more sharing their own advice to propel women into leadership positions. Georgia lawmakers are taking action to help young girls whose families cannot afford menstrual pads or tampons. A new spending plan in Georgia allocates $1.5 million to provide free feminine hygiene products for the Department of Education and county health departments. This comes after several Democratic lawmakers in the state worked to have the 4 percent tax removed from menstrual products. The first-ever image of a black hole was released on Wednesday and made Katie Bouman, a contributor to the project, an international sensation. A reaction shot of the 29-year-old scientist has gone viral and is being celebrated for its representation of females in STEM. This breakthrough comes three years after she began leading the project team as a graduate student at the Massachusetts Institute of Technology (MIT). Alaa Salah, a young Sudanese woman and architecture student, was captured leading protest chants in the country’s capital Khartoum this week. The photo of Salah wearing white, pointing toward the sky and standing above a crowd has gone viral on social media. Young women are playing a large role in calling for President Bashir’s resignation. The 10th annual Women in the World summit is a three-day conference aiming to answer the question: “Can women save the world?” Oprah Winfrey delivered the keynote address on Wednesday, where she recognized the 42 women who joined Congress in January and encouraged the audience to “rock the boat.” Opening day also featured actress Brie Larson, the star of the first female-led Marvel film.